Home > Meet the Neighbors: Jim and Stella on Solstice Ave.
Jim and Stella live up to the term, “Living the Good Life” at Encanterra. 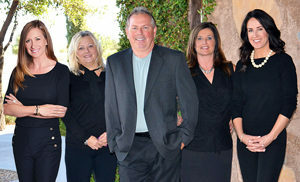 Jim grew up in the small town of Julesburg, Colorado. After high school, he attended the University of Missouri and went on to serve in the US Marine Corps. Jim was released after gunfire caused the loss of hearing in his right ear. As a civilian, he worked 23 years in the semiconductor industry. He moved to Washington in 2005, and ultimately retired to Encanterra in 2014. Stella grew up in Colombia. She studied business administration in college and worked for Bristol-Meyers Squibb for 20 years. In 1998, Stella moved to California, where she lived for three years. In 2001, she came to Mesa and finally found Encanterra in 2015. Their amazing love story all started here at Encanterra. 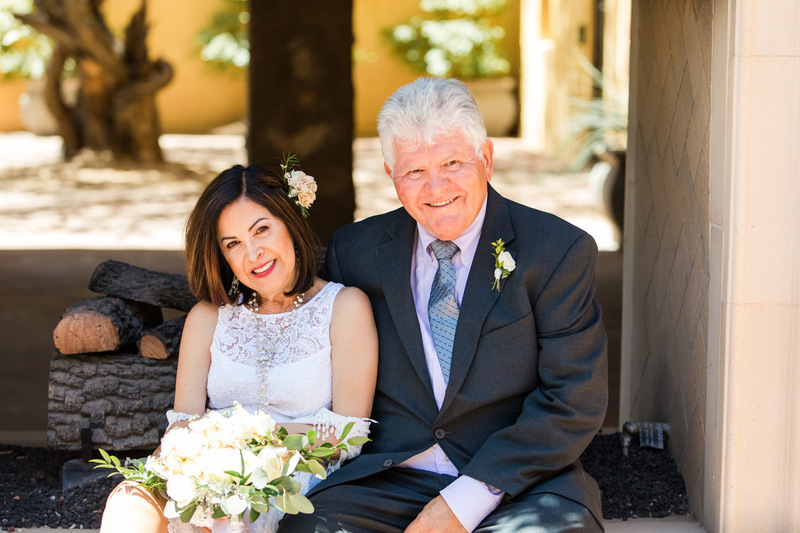 In June 2017, Stella made a call to her insurance agent who told her about a wonderful man, named Jim, who also lived at Encanterra. They planned a lunch date for the three of them at Bistro 1528, where they spent hours and hours talking. After that, Jim and Stella spent every day together. The rest is history! A few months later, they decided to get married. In April of this year, they hosted a beautiful backyard wedding for close friends and family. For their honeymoon, they spent time in Kona, Hawaii, and their adventures did not stop there. 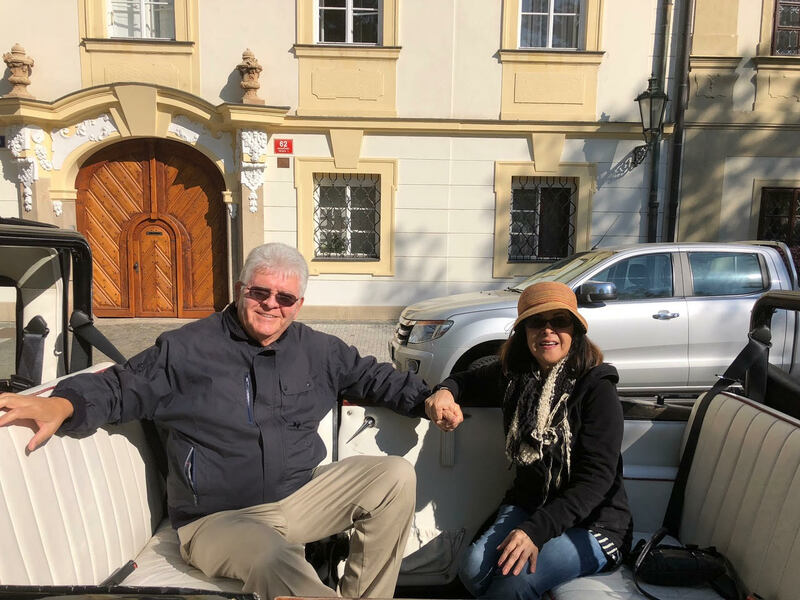 A few weeks ago they traveled to Europe, enjoying time in Vienna, Prague, and Salzburg. This photo was taken just outside the Prague Castle. It was a memorable trip and they look forward to traveling more together in the future. Back at home, Jim loves being outside and staying active— he starts each day by walking up to 6 miles around the community and he’s a board member for the Veterans Club. Stella has a passion for jazz music and salsa dancing, and she loves cooking healthy for Jim. Shea Preferred Realty Group was honored to help Jim sell his previous home on Maygrass so he and Stella could start their life together at their new home on Solstice. Welcome home, Jim and Stella— We wish you a long and happy life together! Great story! Great couple! May there be many wonderful years ahead.